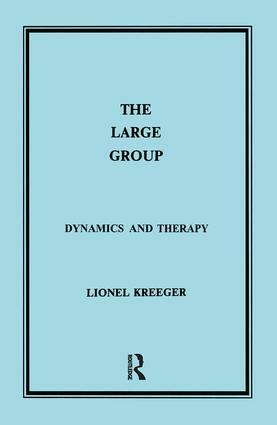 This important, pioneering book collates our knowledge of large groups, both at a theoretical and practical level. Thirteen distinguished contributors offer experiences from a wide range of disciplines and settings. Roughly half the chapters are psychoanalytic in their orientation; other contributions derive from general psychiatry, sociology, anthropology and industrial psychology.The place of large-group therapy is still to be defined, but it is hoped that this book will contribute to the careful and detailed assessment that is necessary to fulfill its evaluation.